Easily report bullying and safety concerns, 24/7. New Mobile AppStay Safe. Speak Up! 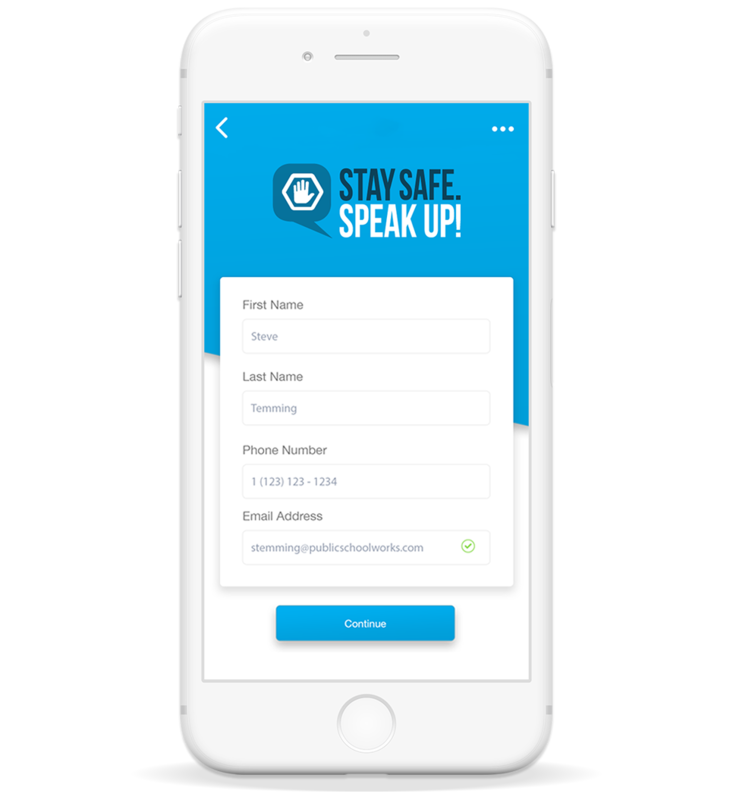 Allows students and parents to report safety concerns directly to school officials via their smartphones. Whether it’s bullying, discrimination, suicidal thoughts or dangerous peer behavior, students face a variety of threats. Stay Safe. Speak Up! is an easy, effective way to report any concern, at any time. Speak to a live attendant 24/7 or choose to leave a voicemail. 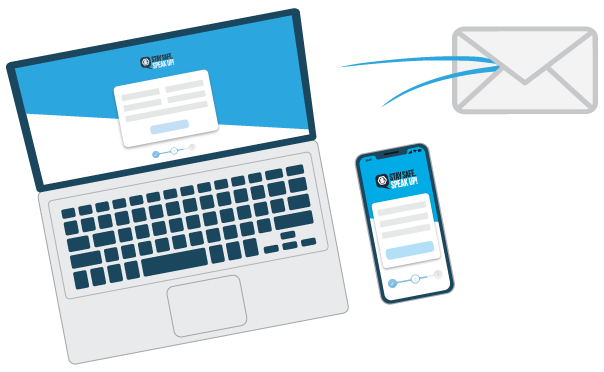 Send details about an issue or concern right from a mobile device. 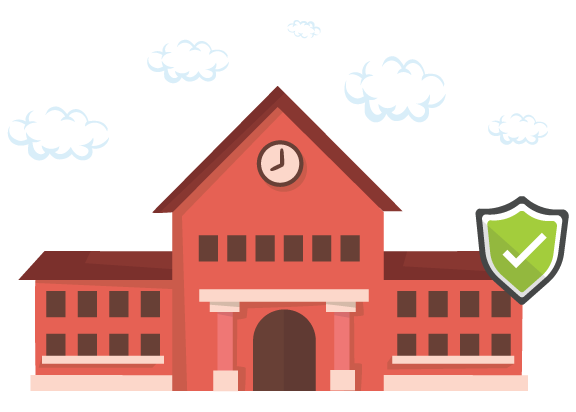 Using a link on the district or school’s website, fill out an online form. School officials are immediately emailed when a report is submitted. An immediate threat to safety activates our urgent phone tree, and officials are contacted until someone is reached. Students are on the frontlines at school and can help prevent small issues from becoming large problems. Equip students with the tools they need to report safety concerns. Stay Safe. Speak Up! in your school community. The Stay Safe. Speak Up! 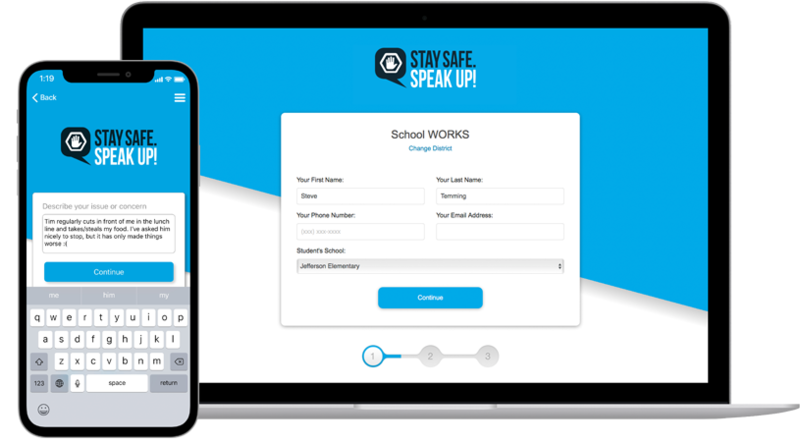 Student Safety Reporting System is powered by PublicSchoolWORKS — the leading provider of safety and compliance solutions for K-12 school districts. Districts must partner with PublicSchoolWORKS to make Stay Safe. Speak Up! available in their schools. Contact us to learn how to bring Stay Safe. Speak Up! to your school community. © WORKS International, Inc. All rights reserved.